In my role as The Time Bum, I have taken a sacred vow of cheapness. It is an oath I practice in my daily life, and in my watch collection; however, there is one time when you must never, never, cheap out: when you buy a gift for your wife. When Mrs. Time Bum took a liking to the Movado Cerena with diamond markers, I threw thriftiness to the wind and bought it. Mrs. Time Bum was happy, I was happy, everyone was happy. Yet I could not help myself. I still needed to evaluate it. What makes the Cerena special? The series watches are composed of polished stainless steel cases with ceramic bezels and accents, on a stainless and ceramic link bracelet. Prices range from $995 for a version without diamonds, to $2,495 for one with a diamond-encrusted bezel. The model preferred by Mrs. Time Bum and pictured here is a simple three hand with ten diamond markers totaling 0.065 carat weight, and a white ceramic bezel. It retails for $1,495. The movement is a Swiss quartz. Movado has used both Ronda and ETA units in its watches and it does not identify which one is inside the Cerena. This is immaterial to Mrs. Time Bum. She can appreciate the value of a high beat automatic movement as a concept, but on her wrist, she just wants her watch to tell time without hassle. Whichever movement lurks inside this case will do just fine. As an added bonus, the second hand actually his its mark every time – a rare and wonderful thing in the world of quartz watches. 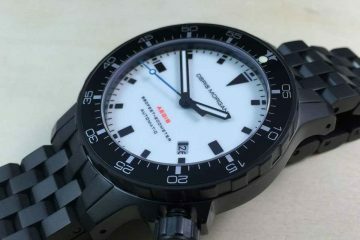 From the pictures, it is easy to see that this is an attractive watch. White ceramic is abundant, and the only hard lines and edges are on the silver dauphine skeleton hands. The soft shapes, bright white ceramic, and polished stainless steel create a distinctive look. 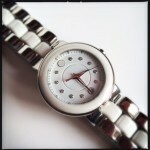 Many women’s watches strike me as pieces of jewelry that serve an incidental time keeping function. The Cerena is not one of those watches. It is feminine, but also solid and sporty, not a dainty little flower. It actually reminded me of something a Stormtooper might wear to the Imperial Death Star Ball. I think that sounds pretty cool, but suspect it would not be the sort of complement that would play well with Mrs. Time Bum, so I have wisely kept this observation to myself. 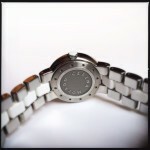 The stainless steel case is round with curved sides, and is dominated by the ceramic bezel. The screw down crown features a ceramic inlay. 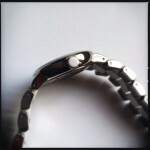 The lugs and bracelet links are thick with soft, rounded edges, and the center links are ceramic. An engraved butterfly deployant clasp holds it all together. The white dial is has a pronounced circle cut into the center. All markers are circular, from the trademark Movado disk at 12 (in white), to the date window at 6, to the aforementioned diamonds marking the remaining positions. Even the chapter index at the outermost edge is augmented with twelve tiny white disks. At 36mm and 7.3mm thick, the Cerena would be on the small side for a man’s watch, but it is larger than most women’s watches. It is also significantly heavier than most women’s watches, and most men’s watches for that matter, 7.3 oz to be precise. To put this in perspective, that is about twice the weight of a Seiko SKX007, and slightly more than a Citizen BJ8050 Ecozilla on a rubber strap. Consider that for a moment. It weighs more than the 48mm Ecozilla. This watch looks and feels like a solid chunk of metal on your wrist. This impression is underscored when you turn the watch over to see the drilled design on the perimeter and “MOVADO CERENA” in high relief. The Cerena may feel like the proverbial “iron fist in a velvet glove” but I would think twice before using that fist in anger. 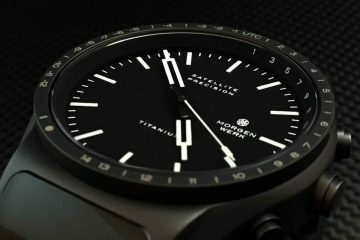 The case is solid and a sapphire crystal protects its face, but this is not a tool watch, as evidenced by its barely splash proof 30m water resistance. Ceramic is exceptionally scratch proof, which should keep the Cerena looking new for years, but it can chip or shatter if abused. Mrs. Time Bum wears the watch primarily as a smart casual piece. She can wear it to the office with certain outfits, but not with a formal suit. It would not be appropriate for evening or formal wear. She reports that it is on the heavy side, but by no means uncomfortably so. Her only quibble is that the large links have a limited range of adjustment, so she wears it slightly looser on her wrist that she would normally prefer. So is the Cerena worth the money? Certainly, you are not buying the watch for its movement. The Swiss quartz within is likely nothing of note, or Movado would have told us something (anything) about it. Materials maybe? Ceramic does tend to drive up the cost a bit, and Movado did not skimp on it in this watch, but that alone does not justify the final bill. Diamonds make everything more expensive, but we are not talking about Harry Winston here. Those 10 little slivers are not going to pad the bottom line all that much. I would say the appearance drives the price. Like most Movados I have sampled, this watch is all about the look. It is a clean and modern design, with unique properties, and quality materials. The fact that it is assembled into a final product with a high degree of fit and finish seals the deal. The Cerena is a stunning watch that inspires confidence, and should continue to look sharp for years to come. I’d say Mrs. Time Bum chose well. Con: Nothing noteworthy about the movement. Sum: Strong and beautiful, just like Mrs. Time Bum. I bought the Cerena without diamonds and I love it! My husband was ready to pay full price but I stopped him…the very next day I went to the store to visit the watch and it was 30% off…it came home with me. It has a good weight and I get a lot of compliments. Looks kind of strange with a business suit but works quite nicely with more feminine business attire. 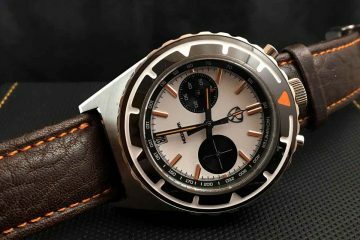 I too am a watch enthusiast but the movement does not matter to me with the Cerena…it is a good quality fashion watch. Enjoyed your review.